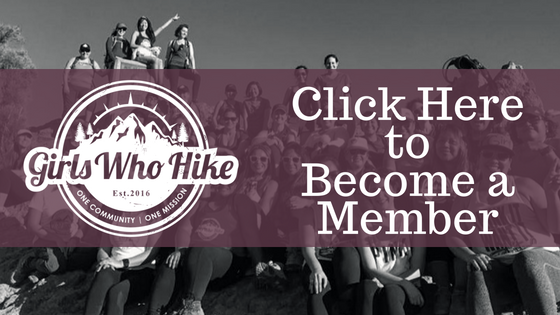 This Hike is led by GWH Ambassador Heather Emerson! For March’s event, I figured we could change up our terrain and go for a hike that involves some light bouldering and a waterfall! This hike borders both Riverside and Orange County and is based out of Silverado, CA (about an hour-ish from Riverside, depending on time of day). Normally when there isn’t much rain, the waterfall is just a trickle, but this year’s rain means we have a much better chance of getting some water action going on! The hike starts off on a fire road for a few miles and turns off on a trail that takes us over some boulders back into the canyon. Black Star Canyon is a personal favorite as it was one of the first hikes I had EVER hiked a few years back. Please be aware poison ivy tends to grow along this trail, so sleeves/long pants are recommended (layer in case it gets too warm). There is light bouldering involved with this hike, meaning we WILL be crawling over rocks to get to the waterfall (please remember this when picking out your boots for the hike). While I do see people in Nikes or the likes on this trail, it will be slippery this time of year and any extra grip helps. (I have had a friend slip on this trail). I hike at a moderate speed to lead the pack but am a “no hiker left behind” type girl and constantly check in to make sure I have everyone in my group together. I look forward to seeing all your friendly faces there, please feel free to reach out to me if you have any questions! I will do my best to cover any and all questions you ladies have.